We choose to work with beauty influencers who inspire their followers with a make-up look made with Action products. We have opted for an everyday look since the target group often goes to school and then choose for a natural look. Of course, this everyday look did get a touch of glam! 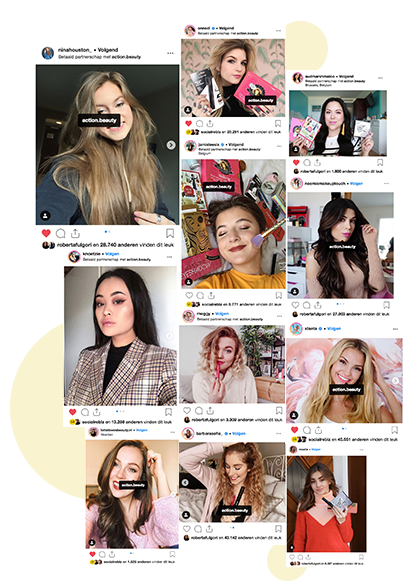 The beauty influencers told their followers in the content about their first experiences with makeup. What did their first daily look look like? Or what were the first make-up fails? In this way an authentic connection with the target group was made by the influencers. We purchased the content of an influencer for a number of weeks per country, so that this content could be used for social advertising purposes, on the Action website, in the newsletter and also the social channels of Action. 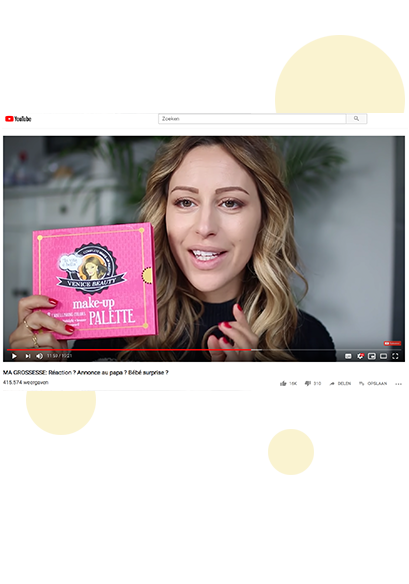 We selected 4 important beauty / lifestyle influencers per country that are active on both YouTube and Instagram. all influencers have been manually selected by SocialReblz. We only worked with influencers who wanted to share all their data and statistics with us so that a detailed check could take place. 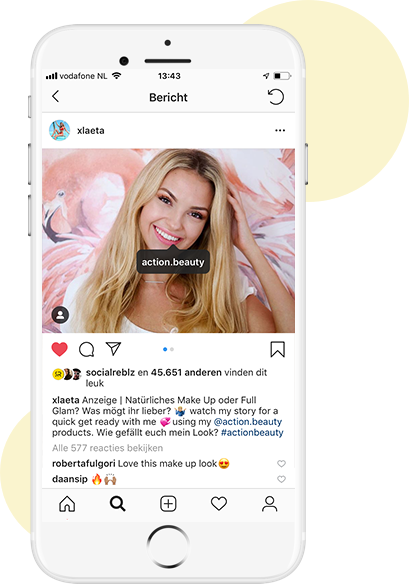 On YouTube the influencers shared a short everyday look tutorial, on Instagram the followers saw a picture of the result and with Instagram stories and the swipe up function, traffic was sent to the action page where all the makeup could be found. Because of the international focus of this campaign it was extremely important to ensure that the content (made by the influencers) complied with predefined guidelines. All influencers are extensively briefed on the look and feel of the video, important talking points and authenticity. For example, all influencers told their fans about the first time they started to wear make-up and how they dealt with it.